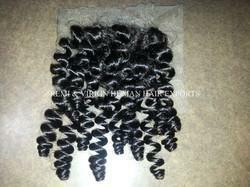 Manufacturer of a wide range of products which include indian hair lace closure and lace closure hair. Our mission is to satisfy clients with quality hair extensions and costs along with valuable customer service. We know that clients want genuine durable gorgeous hair. We are certainly better placed to provide the buyers the much in demand loose Indian hair Extension and Indian Hair wefts both bulk, machine, closure manufactured ones. Almost everything in hair in our latest Products catalogue. 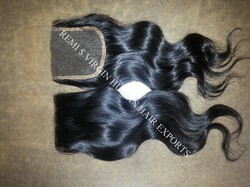 This is Indian Hair Lace Closure. It is 100% handmade. We use 100% human hair. We have emerged as the leading manufacturer, exporter, wholesaler & supplier of a qualitative assortment of Lace Closure Hair. This hair is made available in different shades & lengths according to the variegated demand of customers. Offered hair is processed hygienically under the direction of experts using advance processing techniques. In addition, offered hair is checked on different quality parameters for assuring its quality at user’s end.